If you’ve clicked on this article, I don’t need to mention how stressful planning a wedding can be. Clearly you’re already to the point that you’re doing web searches for advice on the matter. And don’t worry; it’s perfectly normal. People get stressed out over throwing a surprise birthday party, so when it comes to an event that takes months and months of planning, a seriously tight budget and holds as much significance that it is often consider the most important day of your life, it’s only natural that you would start feeling some serious pressure. Well, you’ve come to the right place. Here are a few ways to ease your mind. 1.) Brainstorm. This is actually the part of wedding planning everyone lives for! All you need to do right now is figure out the look, feel and mood that you want to accomplish. Talk to your fiancé to make sure both of your input is heard out. Do you want a large or small wedding? What do you want for wedding colors? Do you want something fancy and elegant or more on the casual side? Go crazy on Pinterest for a few days and find as much inspiration as you can. After you get this locked down, you’ll have a better idea of what actually needs done for the planning. 2.) Decide on a budget. You’ll need to decide on two budgets, basically: a number that you’d like to stay around, if possible, and another number that is your absolute maximum. So for example maybe your goal is around $10,000 but your cap is at $13,000. Two numbers allow you for some leeway but make sure you won’t let things get completely out of control. 3.) Prioritize. The hardest part of planning a wedding is often just starting to actual plan the darn thing. So sit down, take a moment, and prioritize. There are a few necessities that need to be taken care of as soon as possible, especially the ones that tend to be booked out months (and sometimes years) in advance. Your venue and your dress will be two priorities. Venues tend to fill up fast and your dress will most likely take months to prepare (between fittings, alterations, and custom touches). 4.) Delegate. You don’t have to do everything! So put a little bit of the work off on other people. Your mother-in-law that’s just dying to be a part of the planning can make appointments, stuff envelopes and pick up DIY decoration supplies. Your fiancé can work on any specific projects he’s interested (the band or the food), and your friends can help research florist and baker prices. Weddings are special times and people often want to be a part of it, so let them! 5.) Enjoy yourself. Planning a wedding is stressful, sure, but it is also a very exciting time. Stop and take a look around every once in a while. You’re getting married. Think about how fortunate you are to find someone to share your life with and the commitment the both of you are making to each other. So invite a bunch of your girlfriends over for Margaritas and to have a Four Weddings marathon. Hey, technically you’re just doing research, right? Lily’s Bridal – Offers Wedding Dresses, Plus Size Wedding Dresses, Prom Dresses, and Plus Size Prom Dresses. Book your appointment today to find the ONE! 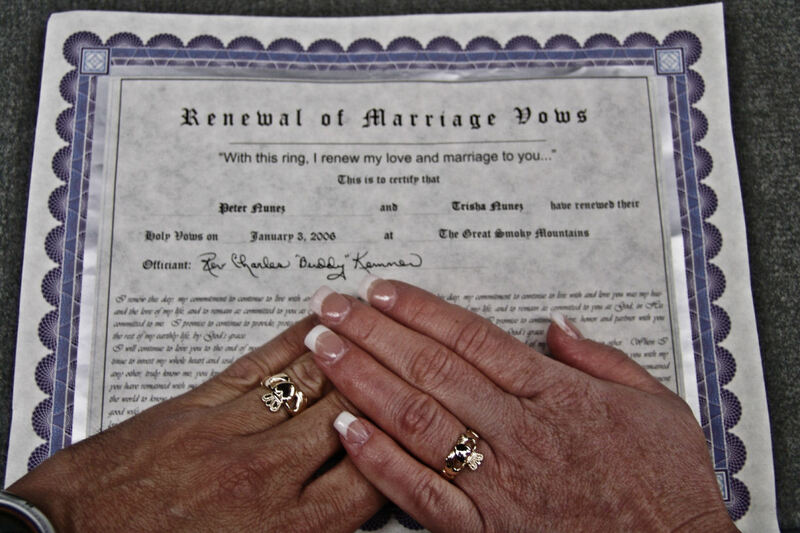 There are plenty of reasons that couples choose to have a wedding vow renewal ceremony. Maybe there was no original wedding, but instead just a quick elopement in a time-sensitive situation. Or maybe their wedding was perfect in every way and they simply want to take the time to tell each other they are even more in love than the day they got married. Either way, vow renewal ceremonies are quickly becoming more and more popular, and for good reason: the only thing more romantic than watching two lovebirds exchange vows is watching them 30 years later, still in love as ever. 1.) Use the originals. If at all possible, try and find the original vows you promised to each other. Not only is it a romantic throwback to your original wedding, but it shows that your love for each other is still as strong as it was that day. And don’t stress about using them in their entirety, it’s also perfectly acceptable to write completely new vows to signify how much you’ve grown together. 2.) Invite the right people. Vow renewals are often much more intimate than the original wedding, and since they are taking place often years after the couple has been married there are also many children to include as well. 3.) Incorporate parts of your lives. You are celebrating your love for a person that has truly lived alongside you. They have laughed and cried with you and been there through thick and thin. If you both have grown to love wine, for example, have your ceremony at a beautiful vineyard. 4.) Consider the officiant. Since a vow renewal does not change the fact that you are married, you can use literally anyone you want to officiate! That means a close friend or your oldest child can take over this very meaningful role. 5.) Choose what you’ll wear. This kind of ceremony is typically much more laid back than an actual wedding, so there’s no need to go all out and spend $4,000 on a new dress. However, just as every other aspect of this day should be a reflection of your love for each other, so should your wardrobe. Perhaps you can wear that necklace your husband gave you on your latest anniversary, or heck, maybe the two of you simply want to renew your vows in swimsuits and then hop in the pool for the rest of the day! 6.) Have fun! A vow renewal ceremony is supposed to be fun, so don’t stress if the flowers aren’t the exact color you requested or if the DJ is 12 minutes late to set up. 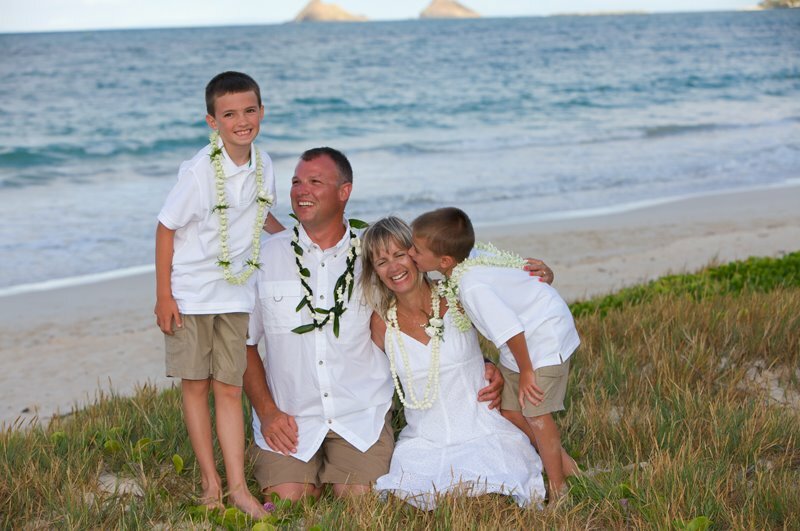 Have your vow renewal as part of a vacation in Hawaii, or as an extravagant backyard BBQ. Have a theme party or go skiing for the weekend! No matter what you do, just make sure you both enjoy yourselves! Lily’s Bridal – Offers Wedding Dresses, Plus Size Wedding Dresses, Prom Dresses, and Plus Size Prom Dresses. Maryland’s top Bridal Boutique. Book your appointment today to find the ONE! 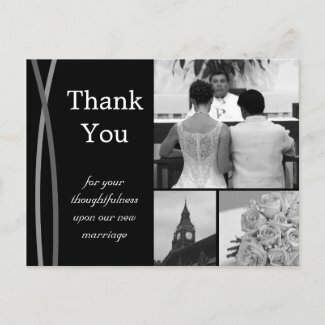 The final touch of your Wedding, the Thank You cards. Your guests have returned home and started back up with their daily lives, no doubt still glowing from their mini-vacation of attending your tastefully fun wedding. But one thing is still missing; the thank-you card. 1.) Do it the old-fashioned way. That means handwriting them and sending them through snail mail. Yes, this may the digital age, but a handwritten card will be infinitely more appreciated than a typed card or an e-card. Honestly, sending all your guests generic e-cards as thank-you cards is just plain lazy. 2.) Be personal. Writing a simple, “Thanks for coming!” on every card and calling it a day won’t mean a whole lot to your guests because that card could have literally been sent to anyone. It doesn’t show that you appreciate that they came, it shows that you’re just too busy (and possibly self-centered) to show appreciation for a guest that probably took time off work and spend a few hundred dollars (if not more) to make it to your wedding. So say something that would prove that the card was meant for only them. Something like, “We’re so glad that you and Uncle Tim could make it to our wedding. We loved the handmade quilt you gave us and we can’t wait to snuggle up in it once the weather cools down. Give (insert name of pet) a hug for us and enjoy all that sunshine or us down in Florida!” Or at least something to that affect. 3.) Send them within a couple weeks of the wedding. This may seem like a time crunch, but it really isn’t; you can find the time to write them out. If you’re on your way to your honeymoon use those extra couple hours during your layover in Dallas to get started on them as well as during the plane ride. If you’re delaying your honeymoon for a bit, pick a day and focus all your energy on getting your thank-you cards done. After all, you did just get married; which means all that time you were spending planning your wedding is now free. You have time. 4.) Keep them readable. That means write legible and write in an ink that shows up. It’s completely understandable for your handwriting to start to slack once you’re on your 74th thank-you card, but if you need to take a break and come back when you can slow down a little bit. And please, please write in a color that’s visible. I once received a thank-you card written on light blue paper in white ink. Sure, it paid tribute to their baby blue and white wedding colors, but the thing was ridiculous to try and read. I made it through, but I’m fairly young with decent vision. I can’t imagine being in my 60’s with bifocals trying to make out what it said. Lily’s Bridal – Offers exclusive Wedding Dresses and Prom Dresses. We offer sizes 6 to 30. Lily’s Bridal would love to help you find your Wedding Gown. Book your visit today. Between the many, many vendors that take part in your wedding (the DJ, the photographer, the caterer, the florist, etc. ), it’s a wonder you have any money left over for basic decorations at all. Plus, the more money you save on your overall decorations the more money you have for more important things, like your wedding dress and the honeymoon! 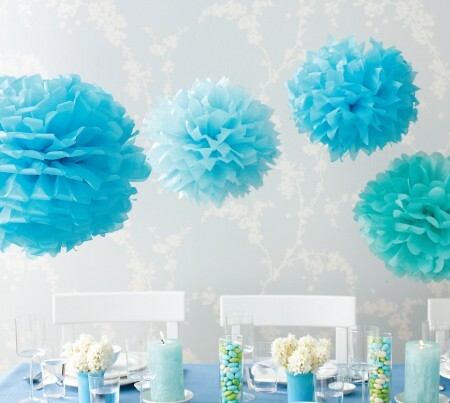 So just for you, we’ve gathered a few ways to save some money on your collective decorations. 1.) Choose a venue that’s naturally beautiful. Think about somewhere like a beach or a countryside with a gorgeous view. In these cases, you hardly need any decorations at all! Besides, even with the best thought out ideas, there’s really no competing with the sight of a breathtaking sunset over the ocean or an altar placed in the middle of a gorgeous garden. Or, if you’d rather have your wedding indoors, consider a beautiful church with stained glass windows. 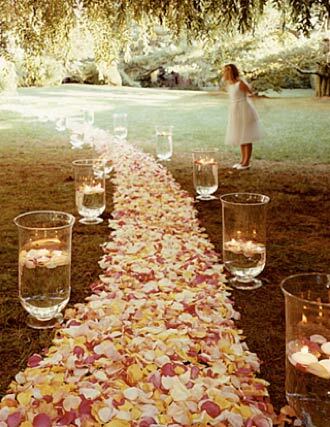 All of that natural beauty is sure to take your guests’ breath away all with very little extra cost or effort by you. 2.) Recycle decorations. Your bridesmaid bouquets don’t just have to be seen while you’re walking down the aisle; use them as centerpieces as well. You can also take whatever decorations you used at the ceremony (to surround the altar, perhaps?) and move them to the sweetheart table or place them around the cake. Plus, let’s not forget about your friends; if you have friends that have recently gotten married, they could be looking to get rid of some of their items too, and just because your theme is different doesn’t mean their stuff won’t work for your wedding. Think of clear vases and tea candles. 3.) Concentrate the decorations. Chances are, there are only going to be a few important places where your decorations will be noticed. All around the altar and up and down the aisle, for example will allow your decorations to be the center of attention and seen in the majority of your pictures. 4.) Ask your venue for decorations. If your venue has performed weddings in the past, they may already have leftover decorations in storage. Things like white tablecloths or tableware can be used for any occasion, and they might let you use them for a small fee that would be a fraction of the cost you would pay if you went to a rental company. 5.) Go Do-It-Yourself. Part of the reason decorations are often so expensive is the convenience factor; people don’t think they have the time to fold all the origami swans or to handwrite all the place settings in calligraphy, but the truth is, you do have the time. Do these small tasks while watching television at night, or just choose one day a week and sit down for a couple hours doing nothing but wedding tasks. You can get a lot more done than you think. 1.) Do they have all the proper licenses, certifications and references? Maybe you’ve chosen to handle an up-and-coming florist or DJ, but taking a risk when it comes to food is a horrible, horrible idea. Having forgettable food is one thing, but having it be remembered for the line it created at the restrooms is quite another. You’ll want to make sure everything is prepared, transported and maintained at the correct temperatures, and having the right license is step one in ensuring that, and having plenty of references will also ease your mind when it comes to service and safety. 2.) What does the price cover? Once you know the price range you’re looking at, you’ll want to know exactly what that price covers. Some caterers simply bring the food, serve it, clean up and leave, while others act more like banquet managers, cueing the band when dinner is about to be served and notifying the bride and groom when it is time to cut the cake. You should also check to see if the cake or alcohol is covered. You may not even need to hire a bartender if that part’s covered in the caterer’s fees. Make sure you know precisely what you’re getting for the price. 3.) Who is your main contact? Just as with any vendor, you need to have the person you need to call with problems on speed dial, and this person needs to know that you consider them your primary contact when it comes to the food. Weddings are incredibly hectic, and an experienced vendor knows that the closer the date creeps up the more frantic many brides become. Of course an experienced vendor will also know how to calm you fears instead of ignoring your many panicky phone calls. 4.) Do they offer a tasting, and can they make adjustments to their food? This is your wedding, so you absolutely need to know every detail about every detail in your wedding, which means not only tasting the food that will be served, but being able to make adjustments as necessary. Perhaps you have a peanut allergy, or you have an aversion to spicy food. A good caterer will always be able to make a few adjustments to their dishes. Of course too many adjustments will change the taste, so you need to discuss these things with your caterer. Lily’s Bridal – Offers Wedding Dresses, Plus Size Wedding Dresses, Prom Dresses, and Plus Size Prom Dresses. So you’ve gotten engaged and you’ve set a wedding date, how exciting! Chances are you’ve probably thrown yourself head-on into any wedding related details: the dress, the food, the venue…there’s just so much to do! But for many brides, the process can quickly turn from exciting to overwhelming, and that’s where wedding planning procrastination sets in. 1.) Set up a budget. Before anything can be done you need to have an idea of what you can and can’t spend. There’s no point in going dress shopping if you have no idea of your price range, and there’s no way to make a guest list without knowing how many people you can afford to invite. Sit down and set a budget for yourselves. 2.) Prioritize. There are some aspects of a wedding that need to be taken care of as soon as possible. Some venues, for example, are booked years in advance and many vendors are also booked months ahead of time. Your dress will also need some time. Once you’ve found the dress you need plenty of time for alterations and numerous fittings. 3.) Make time for wedding related tasks. Treat your daily wedding tasks like business meetings: block off a section of time and then show up for it. Just telling yourself you’ll “get around to it” is setting yourself up for failure because you’ll be constantly pushing back important wedding tasks. 4.) Make lists. When it comes to getting things done, this is a personal favorite of mine. Lists not only organize everything into a convenient location, but it also lets you visually see what you have to do and the progress you’ve made. I even add a few things on my daily list that I’ve already done, so I have a few things to cross off. Without even knowing it you start to feel a little more productive. 5.) Enlist help. There are a probably more people than you think that want to help you plan your wedding, so let them! By letting them take care of the smaller tasks, you have more time to work on more important things. So delegate a few smaller things (making appointments, picking up paperwork, stuffing envelopes) and step back to focus on the bigger picture. 6.) Calm down. Part of the reason people tend to procrastinate when planning their weddings is the stress of the occasion. After all, planning a surprise birthday party or a baby shower was never this stressful. So take a step back from the gravity of it all and plan one aspect as a time just like you would with any other party. Once you have the food and the caterers all worked out, move on to something else. Just keep moving forward and everything will slowly start to fall into place. 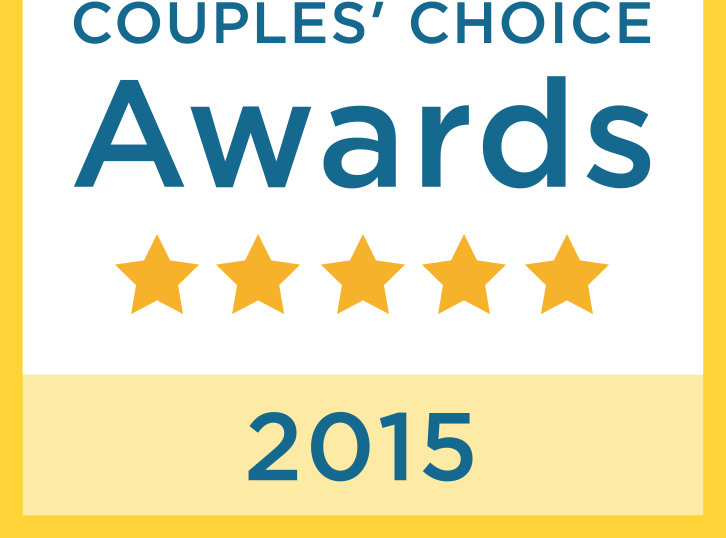 Lily’s Bridal – Specializes in wedding dresses found no where else in Maryland. We offer wedding dresses in sizes 4 to 30. Our curvy women/plus size selection of wedding dresses is the best in Maryland. 1.) Know the difference between set list and musical style. Set list refers to the songs the band is able to play; musical style refers to how those songs are going to be played. A heavy metal band might have your first dance song on their set list, but that doesn’t mean they won’t be screaming their way through it. 2.) Make sure everyone is comfortable. Singing and playing musical instruments is a lot more taxing than you may think, so it’s important that the band has the right environment to do their job to the best of their abilities; that means giving them adequate shelter from the elements (don’t make them perform in 90 degree, direct sunlight) and have plenty of water and snacks to keep them energized throughout the night. 3.) Hire professionals. We know we’ve said it in previous articles (and we’ll keep saying it so long as it drives the point home), you have to hire professionals. That means professionals caterers, photographers and musicians. Playing a wedding is hard work and you don’t want someone tiring out halfway through the night. In addition, it takes more than good music to get people up and dancing, and a professional musician not only knows this but also knows how to make it happen. 4.) Keep them in the loop. If you’re planning on having live music during your ceremony, the band needs to be aware of any changes you might be putting in place, such as the subtraction of a bridesmaid or groomsmen or a change in the length of the aisle (maybe you have to take a different route to the alter, resulting in a longer walk and an adjustment in the music). Professionals will be able to adjust to these changes without any challenge since they’ve probably already done it before at previous weddings. 5.) Ask about overtime. Many receptions go a little longer than planned, provided the music keeps coming. Since many bands perform 2-3 gigs a day during wedding season, they might have another appointment scheduled after your wedding. Talk to them ahead of time to find out if they’re free for a little longer past their scheduled time and how much it would cost for they to stay and pay extra. That way you’ll be ready to pay extra if the reception is still going strong around quitting time.